John M. Perez.Com: How To Use FaceBook & FriendFeed as A Business Collaboration Tool? How To Use FaceBook & FriendFeed as A Business Collaboration Tool? If you have been living under a rock the last 2 years and have not heard about Friendfeed, then please visit their Wikipidia links to learn some more before you read this. In this summary I will show you how you can use FriendFeed as a business tool for keeping up with market and industry trends, along with using it as a collaboration tool. 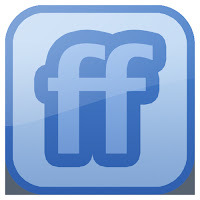 Friendfeed is the social media aggregation software that allows you to aggregrate various sources of information on the web into one central location. Whether it is your Facebook account, your social networks, your RSS feeds, Blogs, and Websites - you can take all these sources of information and centralize it in one repository. While many use it for personal use, there are certainly many business ways to utilize this tool. Here are some of the things you can do with it to track your industry, competitors, or to follow specific companies. - Add any company blogs of relevance - Follow those company's you invest in or want to know more information about by putting their RSS feed in FriendFeed. - Add search terms via Technorati and Google Blogsearch - If your following a particular company or competitor, you can set up FriendFeed to provide information or articles on that subject or company as the web publishes and finds content. - Add any Flickr (or other web-based) photo groups. - Add relevant news services using their RSS subscription URLs. - Add your coworkers’ accounts as friends. - Create a group and invite those friends to the group. - Send private updates to the group. Send more public facing ones to the public timeline. Check it out and sign up now.